Get John Chow dot Com At The iTunes Store! Remember that post from Gary last week on 10 steps to build a $50 iPhone app for your blog? Well, Apple has approved my app and it is now available at the iTunes store. 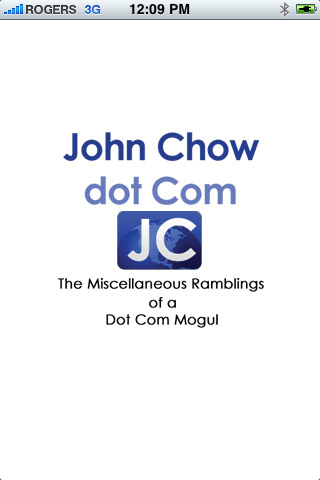 My app is free so if you have an iPhone, please download and use it as it’s a great way to read John Chow dot Com on the iPhone. The procedure to make your own iPhone app and get it on the iTunes store was amazingly simple and at a cost of only $50, I think it’s something that every blogger should do. The mobile Web is getting bigger and bigger and that means you must expand with it or get left behind. 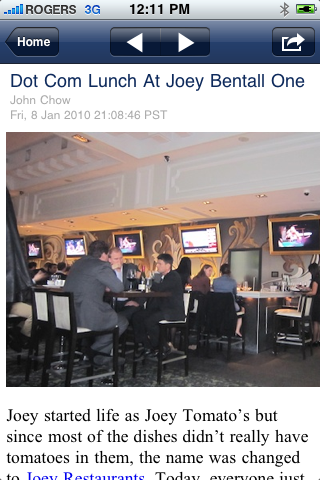 For those of you who don’t have an iPhone yet, here are some screen shots from the John Chow dot Com iPhone App. I want thank Mr. Gary Lee for all his help with this project. 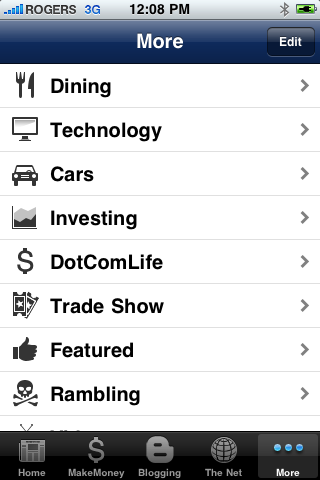 If you haven’t done so, go and read his guide to making your own iPhone app.